The federal government’s push to increase the number of category management procurement contracts, though good for saving money, can hurt small businesses, according to experts who spoke at the Small Business Administration’s ChallengeHER event promoting women-owned small businesses last Thursday. As the final push for fiscal 2017 contract obligations comes to an end, it’s helpful to take a step back and assess the contracting environmental trends that have emerged over the past year. Each trend lends itself to further study, so here’s a high-level look at the top 10. 1. Federal sector spending has bottomed out, with anticipated growth. Following years of declining spending, it is beginning to appear like this decline has bottomed out, with a growth in federal spending on the horizon. While there is considerable talk, firm steps are in motion for increased contract spending, particularly in defense, with reduced civilian agency spending. Clearly, a reevaluation is occurring from the dramatic budget cuts proposed for many civilian agencies, while the Department of Defense will reap increases in the short term. 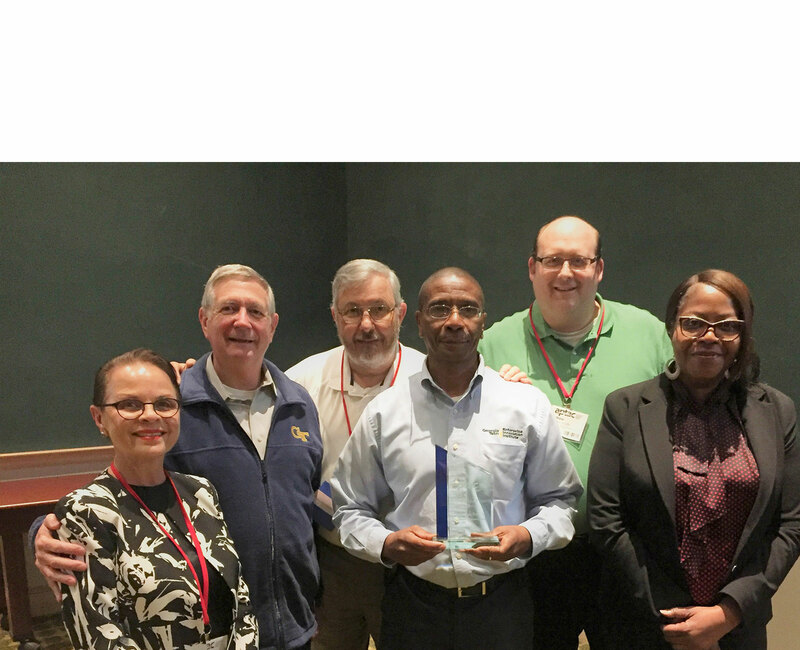 Is ‘category management’ excluding small federal contractors? 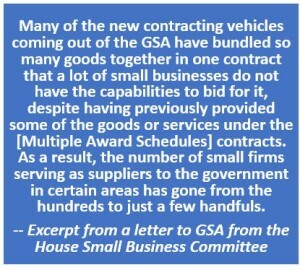 While the White House and the General Services Administration (GSA) have made category management a pillar of their attempts to streamline federal acquisition, two members of the House Small Business Committee worry the more means small businesses will be squeezed out of competition for federal contracts. The White House and the federal CIO’s office have issued a series of polices in recent months calling for the elimination of what they term redundant or duplicative contracts, and moving agencies onto governmentwide contracts. 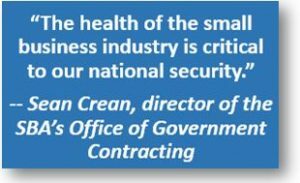 But according to a letter from Rep. Nydia Velazquez (D-NY) and Rep. Steve Chabot (R-OH), the move within GSA spells doom for small businesses. The General Services Administration (GSA) has announced its plans to test two types of pre-competed information technology products through the GSA AdvantageSelect online portal. Erville Koehler, regional commissioner for the Federal Acquisition Service at GSA, wrote in a blog post published last Wednesday that GSA AdvantageSelect is a category management-based tool designed to help contracting officials place orders for IT products without the need to undergo competition. If you missed BGOV’s April 22, 2015 conversation with Office of Federal Procurement Policy (OFPP) Administrator Anne Rung, you’ll have to wait to hear the punchline from her story about her first television appearance. her plan to form innovative buyers’ clubs around government. The General Services Administration (GSA) issued a proposed rule on March 4, 2015 that responds to the contracting concept of “category management” introduced December 4, 2014 by the Office of Federal Procurement Policy (OFPP). The OFPP concept shifts federal purchasing’s focus from managing purchases and prices individually on thousands of procurement actions by dozens of federal agencies to managing categories of purchases across the government. To implement this concept, GSA’s proposed rule would require vendors on Federal Supply Schedule (FSS), Governmentwide Acquisition Contracts (GWACs) and Governmentwide Indefinite-Delivery, Indefinite-Quality (IDIQ) contracts to report all government transactions, including prices paid. GSA contends the new rule is needed because the government currently lacks a mechanism that facilitates examination of prices paid by agencies on individual contracts, and this has caused pricing disparities in contracts for similar products and services. If the proposed rule is adopted, the General Services Administration Acquisition Regulation (GSAR) would be amended to require that vendors report transaction data on individual FSS, GWAC and IDIQ contracts. Details to be reported include unit of measure, quantity of items sold, universal product codes, prices paid per unit, and total price. Such contracts accounted for about $39 billion in federal procurements in fiscal year 2014, according to the agency. GSA says their existing price reduction-related monitoring requirements will be pared back to compensate for the additional reporting burden on contractors. FSS contracts administered by the Department of Veterans Affairs would be exempt from the new rules. If the proposed rule is finalized, it will go into effect immediately as a pilot program for GWAC and IDIQ contracts. For FSS contracts, the new rule would be implemented in phases, initially involving only certain products and services in order to test the usefulness of the collected data in eliminating contract duplications and price variations. The proposed rule also would implement a web-based Common Acquisition Platform (CAP) that GSA says will identify best-in-class contracts, best practices, and similar information. This online marketplace also would display commercial pricing for similar products. The proposed rule could be seen to be at odds with recommendations that were first formulated by GSA’s own Multiple Award Schedules Advisory Panel. In 2009, the MAS Advisory Panel made 20 recommendations on how GSA could improve the Schedules program. Prominent among the recommendations were the outright removal of the price reduction clause (PRC) from contracts for products and services and establishment of a process for ordering activities to collect and report on their purchasing, including quantity, quality, and price. Currently, the PRC clause is included in every Schedule contract in an effort to obtain contractors’ best prices. If contractors do not abide by this contract requirement, they risk having a whistleblower, an inspector general, or the Justice Department filing a complaint or bringing charges pursuant to the False Claims Act. In addition, GSA presently may request a price reduction at any time during the contract period when their market analysis indicates that lower prices are being offered or paid for the same items under similar conditions. 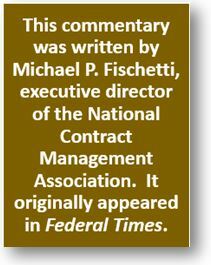 According to data collected by the Chief Acquisition Officer’s Council, contractors regard the PRC as one of the most complicated and burdensome requirements in federal contracting, and GSA’s own estimates suggest FSS contractors spend over 860,000 hours a year (at a cost of approximately $58.5 million) on compliance with this clause. Already, there are concerns being voiced that if GSA’s primary motive behind the proposed rule is simply to obtain lower prices, the government runs the risk of losing quality contractors who will not agree to disclose pricing data due to its sensitivity, let alone bear the new cost and administrative burdens associated with disclosure. While there are differences of opinion among government and business leaders, GSA states that it believes that use of the proposed transactional data reporting clause could be a good alternative to the PRC, contending that the new rule will reduce administrative burden on contractors and have the effect of lowering prices to the government. In order to sort out the issues and seek public comment, GSA is holding a public meeting and requesting comment on its proposal to amend the GSAR to include clauses that would require vendors to report transactional data from orders and prices paid by ordering activities. Interested parties may offer oral and/or written comments at GSA’s public meeting to be held on Friday, April 17, 2015, beginning at 9:00 a.m. EST. In addition, as a part of the traditional public comment process that accompanies most proposed federal regulations, GSA is asking interested parties to submit written comments on or before Monday, May 4, 2015 to be considered in the formulation of a final rule. Comments should be sent to: U.S. General Services Administration, Regulatory Secretariat Division (MVCB), 1800 F Street NW., 2nd Floor, ATTN: Hada Flowers, Washington, DC 20405-0001, citing GSAR Case 2013-G504 in all correspondence. All comments received will be posted without change to http://www.regulations.gov, including any personal and/or business confidential information provided. For the April 17th public meeting, attendees can attend the meeting in person at GSA’s Central Office or virtually through GSA’s Internet meeting platform, Adobe Connect. In-person Attendance: Interested parties may attend the public meeting to be held in the GSA Auditorium at GSA Headquarters, located at 1800 F St. NW., Washington, DC 20405. The public is asked to pre-register by Wednesday April 1, 2015, due to security and seating limitations. To pre-register, use the following link: https://meet.gsa.gov/e5rpxxbrh14/event/event_info.html. On-site registration check-in will begin at 8:00 a.m. EST on Friday, April 17, 2015, and the meeting will start at 9:00 a.m. EST. Attendees must be prepared to present a form of government issued photo identification. Virtual Attendance: Interested parties may also attend virtually through GSA’s Internet meeting platform, hosted by Adobe Connect. Virtual attendees must register in advance at https://meet.gsa.gov/e5rpxxbrh14/event/event_info.html. Oral Public Comments: Parties wishing to make formal oral presentations at the public meeting should indicate so during the registration process. Presentations must be provided to Ms. Dana Munson by electronic mail at gsar@gsa.gov no later than Wednesday, April 8, 2015. Time allocations for oral presentations will be limited to fifteen minutes. Written Comments: All formal comments, inluding oral public comments, should be followed-up in writing and submitted to www.regulations.gov not later than Monday, May 4, 2015. Reference should be made to GSAR Case 2013-G504.